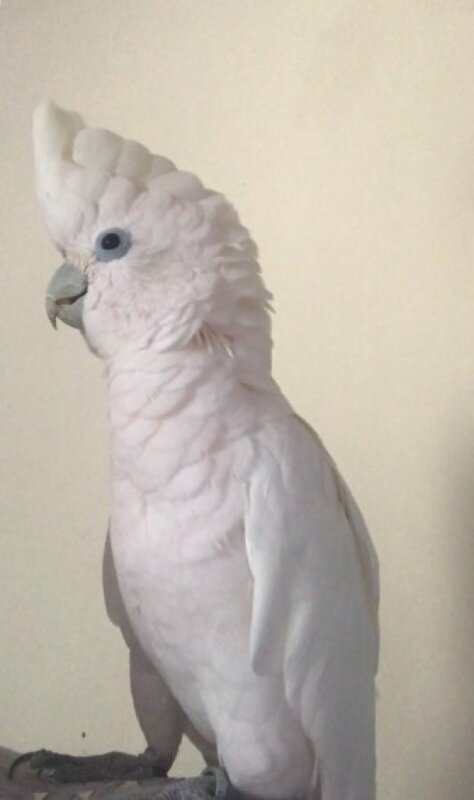 With a heavy heart I’m looking to consider rehoming my cockatoo, his name is boo boo.. tame, loves affection, loves shredding paper and time out of the cage is necessary. He has never bit me or tried, he will sometimes nibble like a puppy which is his way of getting to know his sensory on objects or yourself (doesn’t hurt) I wouldn’t recommend handling by a child (maybe with time it could be possible) He’s very loud as cockatoos are. I want him to go to his forever home so you must know what your getting into haha I won’t let him go to just anyone. I’m rehoming only because of health issues. I’m waiting on a back operation and I’m struggling to keep up with the upkeep of his cage and giving him the time he needs/deserves. Only serious people please no offers. He has a pretty large cage he comes with and his food/water bowl, toys ect. Wirral area any questions feel free to ask away.